Center transit lanes are typically used on major routes with frequent headways, and where traffic congestion may significantly affect reliability. They also reduce the chance of conflicts with parked vehicles. 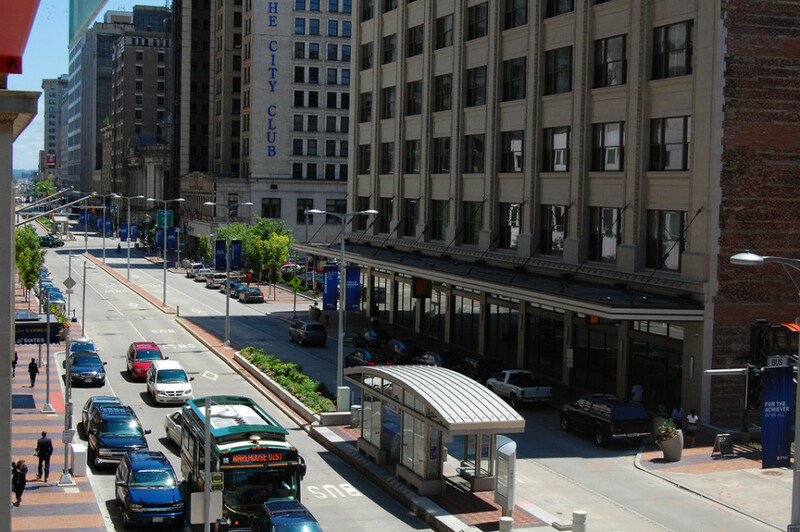 Center transit lanes can play a key role in creating high-quality transit service. 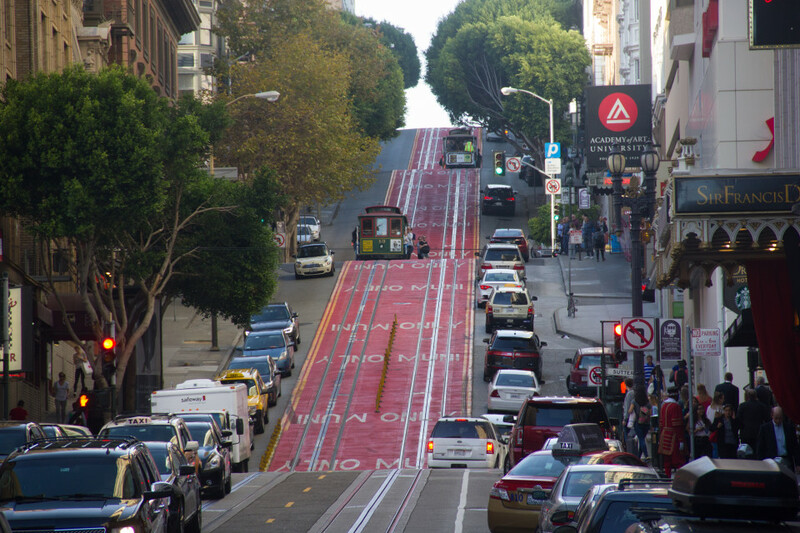 While traditionally found on streetcar streets, center transit lanes can be used with buses as well. With left turn restrictions and minimal separation, center transit lanes can be effectively converted to transitways. Dedicated center transit lanes are highly applicable to center-running streetcars and light rail lines, including both new and existing rail lines. Center transit lanes can be applied as part of the implementation of a BRT line or other bus improvements, on any bus routes with suitable stations. 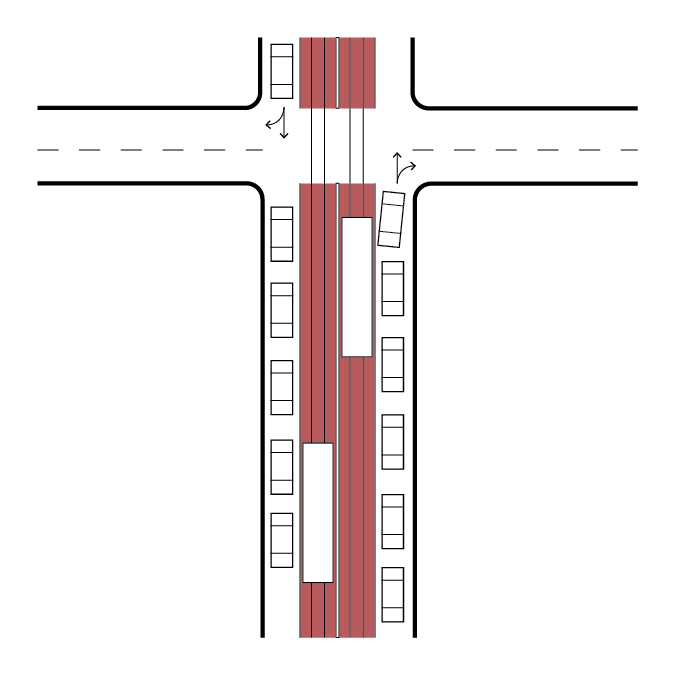 Center transit lanes can be applied to both bus and rail lines where traffic congestion affects reliability, and are often more effective than right-side lanes. 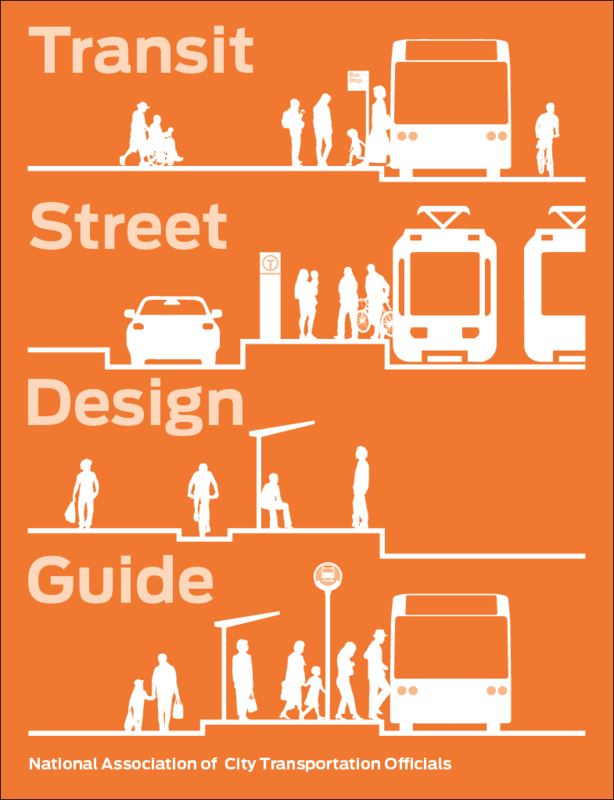 Center-running lanes serve buses and streetcars at potentially very high capacity and volume, while improving the pedestrian and passenger experience of the street. 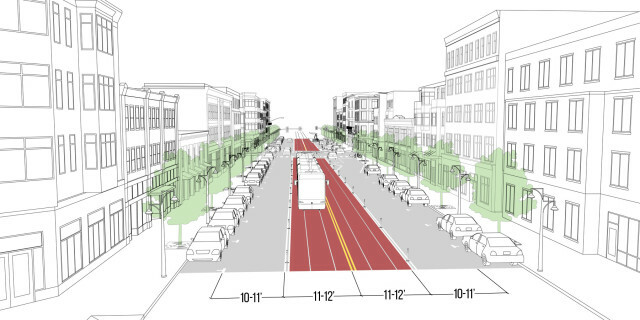 Center transit lanes eliminate conflicts with drop-offs, deliveries, or illegal parking along the roadway edge, as well as with bicyclists and some turning movements. Combined with left turn restrictions or leading transit intervals, and all-door boarding, center transit lanes address a wide variety of sources of transit delay. Center transit lanes can have an impact similar to that of a transitway, but does not require as much investment, time, or space to implement. Existing center-running streetcar routes can achieve safety and travel time benefits from dedicated infrastructure. Complementary treatments include stop consolidation, all-door boarding, and transit signal priority. Intersections require turning provisions to avoid conflicts with the through movements of transit vehicles. A combination of self-enforcing design and enforcement, ideally automated, is necessary to ensure the effectiveness of dedicated center bus lanes. Stops for center lanes may need more street space than curbside lanes, since boarding islands must be placed in the street. Generally a minimum width of 28 feet is needed for transit lanes and stations at stop locations, and 22–24 feet in other sections. Platform configuration must be compatible with transit vehicle characteristics—left-side boarding buses may be more expensive to procure. Center platforms may reduce overall space occupied by stations, though side-boarding islands can have space benefits when stations are split across an intersection. Right-boarding BRT stations allow the use of typical rolling stock, which often run on streets without dedicated lanes at the beginning or ends of their routes. Solid white lines or double white lines must be striped along the right side of the transit lane, along with BUS ONLY or LRT ONLY pavement markings (MUTCD 3D-01). Boarding islands must be used for most transit vehicle types to create accessible boarding conditions. 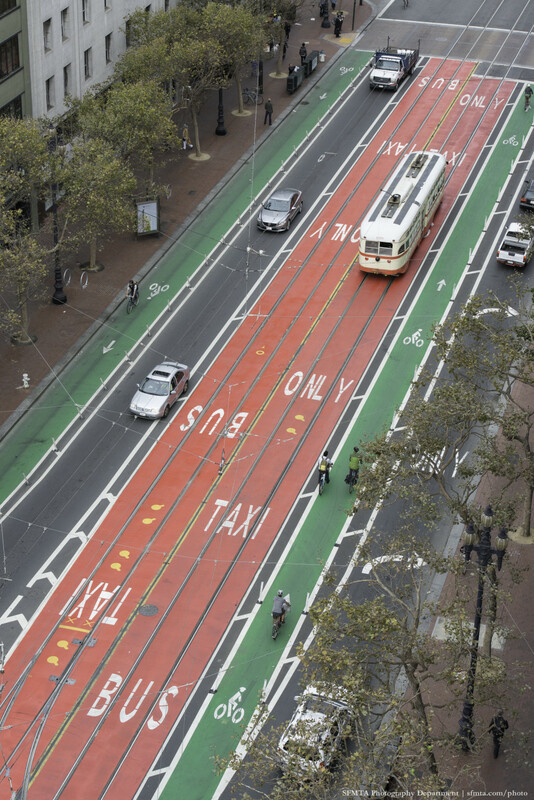 Center-running lanes should be designated using red/terra cotta color to emphasize the lane and deter drivers from entering it. 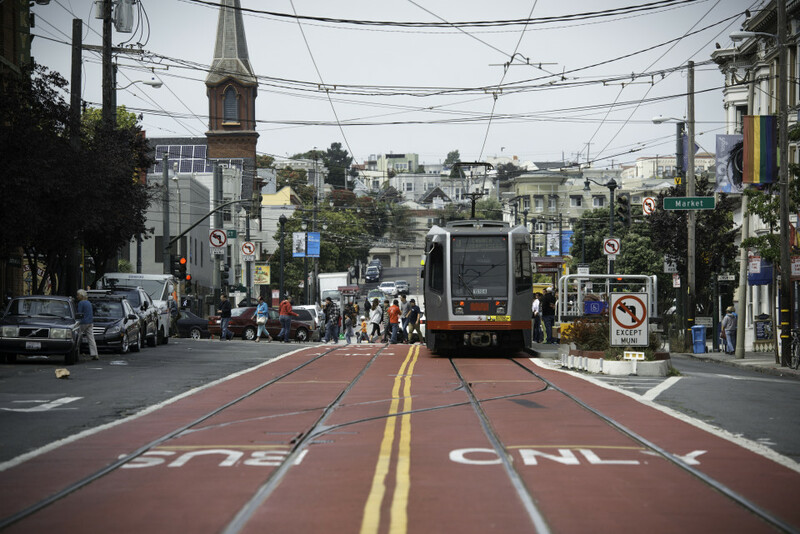 A center bus or streetcar lane should be 11–12 feet wide when placed adjacent to an opposing transit lane. 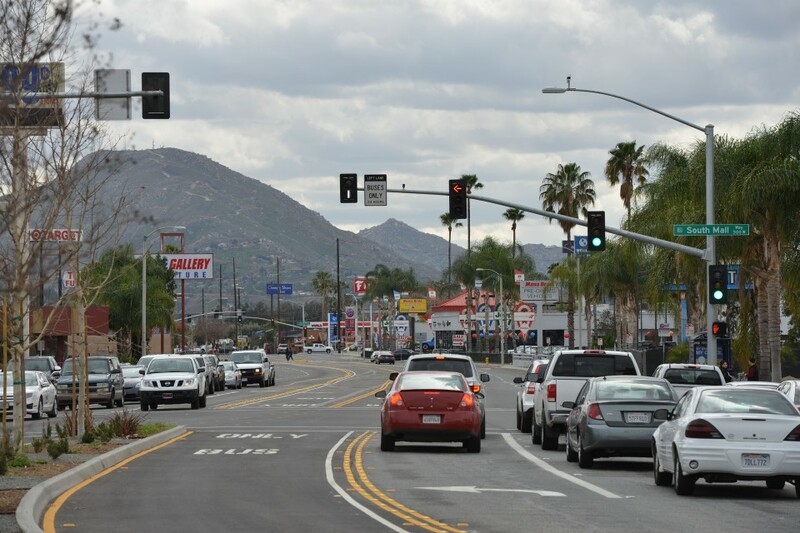 To avoid conflicts with center-running transit vehicles, left turns should be prohibited, or accommodated using left-turn lanes and dedicated signal phases. 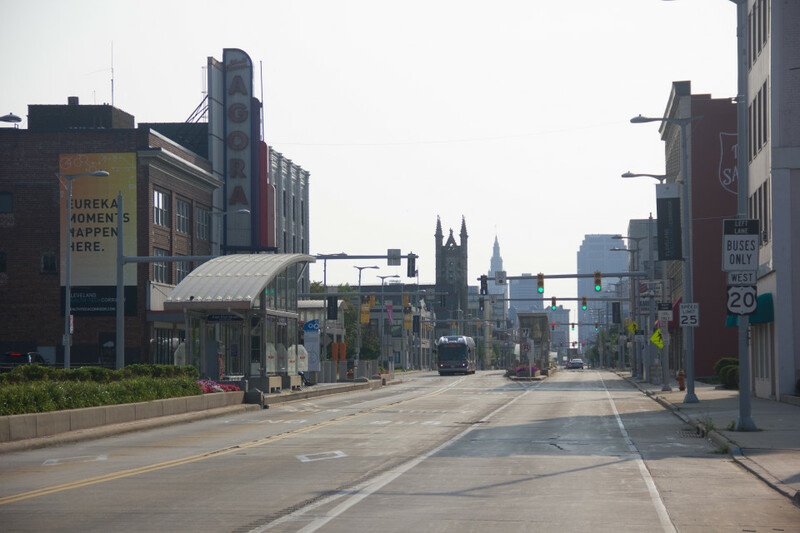 Left turns from the center bus lane add significant safety and operational issues for high-frequency bus service, but left turns may be permitted at times of day with longer headways. Designs should anticipate transit vehicles operating at 25 mph, with higher design speeds only if local speed limits permit them. Curves may be regulated for much lower speeds, typically 10–15 mph, permitting vehicles to proceed safely within the same lane width as provided on straight sections of the bus lane. However, it is desirable for horizontal transitions of the transit lane to be designed with gradual transitions, consistent with general operating speeds on the corridor. If additional space is available, a buffer should be marked or vertical delineation placed between the bus lane and the adjacent mixed-traffic lane to provide additional clearance and permit eventual construction of vertical elements. Separation with soft (e.g. rumble strips) or hard (e.g. concrete curbs) barriers may be used to reduce encroachment from general traffic. Install reflective vertical elements to enhance visibility at night. The mixed-traffic lane may transition to the right before a stop and to the left after a stop, creating room for parking and a turn lane. Complement center transit lanes with all-door boarding and related fare collection strategies, as well as transit signal strategies.